Emiko: My dream is to be a great tennis player like Naomi Osaka someday. Corch: Well, you have a lot of talent, Emiko, but talent is not enough. If you practiced more, you would be a better player. Emiko: I know that, but it's hard to find the time to practice. Corch: Nobody can become good without practicing, not even Naomi Osaka. Did you hear her interview yesterday? Emiko: No. What did she say? Corch: She said that while she is in training, she doesn't eat her favorite dessert, green tea ice cream. Emiko: Well, she has stronger willpower than me! 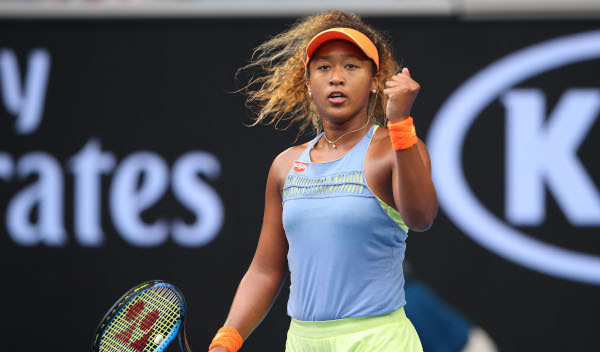 My dream is to be a great tennis player like Naomi Osaka someday. Well, you have a lot of talent, Emiko, but talent is not enough. If you practiced more, you would be a better player. I know that, but it's hard to find the time to practice. Nobody can become good without practicing, not even Naomi Osaka. Did you hear her interview yesterday? No. What did she say? She said that while she is in training, she doesn't eat her favorite dessert, green tea ice cream. Well, she has stronger willpower than me! It's hard to find the time to practice. ... while she is in training, she doesn't eat her favorite dessert, green tea ice cream. If you practiced more, you would be a better player. If I were you, I would listen to your parents' advice. If you exercised more often, you would feel much healthier. If you were less grumpy, you would make far more friends. If I entered the speech contest, would you help me prepare. If I were you, I wouldn't do such things.